Dog Training Youtube Channels List. The Best Dog Training Youtube Channels from thousands of top Dog Training Youtube Channels in our index using search and social metrics. Data will be refreshed once a week. About Youtuber Zak George is a celebrity dog trainer and YouTube star who has trained thousands of dogs throughout his career. His YouTube channel, Zak George’s Dog Training Revolution, is the number one destination for dog training content in the world, with more than ten million views annually. His first book, Zak George's Dog Training Revolution, was published by Penguin Random House in 2016. About Youtuber A channel devoted to providing a window into the life of a professional dog trainer. I talk about dog training, boarding, health, equipment, and all the things that go into owning and running a successful dog training and boarding kennel. About Youtuber Sit Means Sit Dog Training is the largest and most successful U.S.-based dog training company with locations worldwide. At Sit Means Sit, we provide the very best training techniques for your dogs that will persist through the years. We offer a variety of training options including 1-on-1 classes and group classes. About Youtuber Mr.Caine is a dog trainer, artist and comedian. Mr. Caine also does political commentary, Cooking videos, Bigfoot Research, UFO's and Aliens, Pigeons & Raven Husbandry and Hunting Videos with his two hunting dogs Ike and Tonka, Labrador and German Shorthaired Pointer bird dog. About Youtuber Learn how to train your dog or how to train your puppy using the BrightDog Academy dog training system. BrightDog Academy teaches people how to train their dog using only care based, science based dog training methods that never require the use of prong collars, shock collars, choke chains, clickers, harsh corrections, or any other outdated methods of training. About Youtuber The best source for dog training news, tricks and treats, right from world class leaders in dog training. About Youtuber I make instructional videos on dog behavior/tricks, dog training tips and dog sports. I run online dog training classes at http://www.pamsdogtraining.com and currently have 4 sessions of Canine Freestyle, Clicker Basics, Play-N-Train Recalls, Rock Solid Stays and Loose Leash Walking. About Youtuber I'm Augusto Deoliveira, I enjoy training dogs, follow me and my pack of trained German Shepherds. About Youtuber I am Dhawal Ratnaparkhi. I make videos about dog training in Hindi Language and sometimes I make about how owning dogs looks like. About Youtuber Professional dog trainer Larry Krohn, owner and trainer at Pak Masters dog training of Nashville Tennessee and Bowling Green, Kentucky. Larry specializes in many areas of dog training and is best known as a top Remote Collar Trainer and Dog Aggression Specialist. About Youtuber I rehabilitate dogs. I train people. I hope that I can be an inspiration to everyone out there who is trying to live their dream. About Youtuber Here you will find scientifically accurate, humane dog training information. Find out how to turn any dog into a show-stopping super dog! If you like what you see, consider subscribing to support a positive, progressive way of teaching animals. About Youtuber Scientifically accurate advanced dog training for pet and working dogs. Help for all behavior problems. Aggression rehabilitation, confidence building, and solutions for the most difficult dogs. Support for professional dog trainers and novice pet owners. We will keep you informed of the most up to date and effective dog training methods available. About Youtuber Complete 'how to' free videos on dog training, clicker training and behavior modification by world renowned dog trainer Emily Larlham. Emily uses only Progressive Reinforcement Training. A type of training that involves no forms of physical or psychological intimidation. About Youtuber Smart Dogs Training is one of the best dog training channels on youtube. About Youtuber Thank you–you awesome dog lover–for coming to Simpawtico Dog Training's channel! I am Ian Stone, a certified professional dog trainer and I am committed to bringing you creative and intelligent techniques to manage, motivate, and learn about our beloved canine family members. About Youtuber Off-Leash K9 Training, LLC is owned by Nick White. Nick is a former US Marine and former US Secret Service; however, his training experience is far more expansive than that. Nick has trained directly with some of the best trainers in their fields: ranging from Andrew Ramsey who is one of the most well-known detection trainers in the world. About Youtuber Willow Creek Kennels and Hunting posts both instructional training videos for basic obedience and hunting dogs. About Youtuber Doggy Dan is a world-famous dog trainer, commonly known as 'The Online Dog Trainer for providing his calm and gentle method to dog owners. My video website for training the perfect puppy and stopping unwanted dog behaviors is. About Youtuber Your guide to a happy, well behaved dog. About Youtuber TheDogTrainingSecret.com offers a wide variety of dog training products to help train your dog in order to build a lasting relationship with your pooch. In this channel you will find information and training tips for all dog owners. About Youtuber On this channel you will learn some tricks to teach your dog and we will help you understand why they do some of the things that they do. In just a few weeks, your dog becomes a good family member. Some simple tweaks you can make to your training habits that will make you more successful, and much more efficient. And have that well behaved, four legged, furry family member. About Youtuber Animal trainer Brandon McMillan is swooping into animal shelters across the U.S., rescuing hard-to-love, out-of-control, untrained and unadoptable dogs. Then, back at Brandon's training facility known as the Lucky Dog Ranch, he goes to work on the seemingly impossible task of turning the frightened pooches into perfect pets. About Youtuber My mission is to give dogs a voice in their care, and this YouTube channel is part of that. I have a new puppy named Pinto Bean, a senior dog named Peanut, and a cat named Dharma. We live in Alaska. I'm an author and dog trainer who specializes in socialization, aggression/fear rehabilitation, and empowering animals to cooperate in grooming and veterinary procedures. About Youtuber Glasgow Dog Trainer and Behaviour Consultant's YouTube channel. Promoting non aversive dog training and behaviour modification. About Youtuber These videos are meant as a guide to better your training and understanding of dogs. Have fun, be safe, enjoy! About Youtuber The Online Dog Trainer Review - Is it a Scam? Don't Buy The Online Dog Trainer Before You Read This Review! About Youtuber Dog Trainer Kristina Carmody offers customized dog training programs to clients in the Washington DC metropolitan area. She offers an extensive dog training camp (board & train) as well as in-home private lessons. Kristina is an expert in training more challenging cases and rehabilitating dogs with confidence issues, anxiety, or aggression. About Youtuber For success with your dog, you and I must have the same philosophies on training, techniques and tools. I use a calm, balanced, fair and humane approach. The dogs state of mind is usually the first thing I address because once the state of mind is balanced, the sky is the limit with what you can achieve with your dog. About Youtuber Animal Behavior College is an animal career training school that offers dog training, veterinary assistant, dog grooming and cat training certifications. Read blog for tips on dog training, pet health, grooming and cat training. About Youtuber Crazy parody videos and dog training advice. Revolutionizing the dog biz one pro at a time! About Youtuber Dog Training Nation is a community of people who love dogs, own dogs and train dogs. Follow us for dog training tips! About Youtuber Southend Dog Training. Specialising in Behaviour modification and obedience training. About Youtuber Lisa is a professional dog trainer and the owner of Good Dog! Training, LLC. Her passion is helping dogs and owners achieve a deep, loving bond through the use of positive, force free training and clicker/marker training. About Youtuber At KeenDog our life's mission is to provide dog training programs that result in obedient and confident dogs that are eager and enthusiastic to work with you - not for you. Using our unique KeenDog training method, our experienced and dedicated trainers will coach you on how to have both on and off leash control of your dog in any environment. About Youtuber One of the best youtube channels for everything related to dog training. About Youtuber All training done with positive reinforcement to build up that special bond between dog and owner. About Youtuber Dog Training does not mean controlling -- it means integrating rules and commands into your relationship that will allow you and your dog to co-exist in harmony. About Youtuber Welcome to a place where you learn how to become the best dog-parent. Holistic Dog Training is all about how to humanely treat, train, and emotionally support your best friend. You become the trainer and reach your dog's full potential, using a body mind spirit approach. About Youtuber Positive reinforcement training that is family friendly and fun, fun for people, fun for dogs! Classes offered at several locations in Winchester, VA and surrounding areas. About Youtuber Dog trainers for police service dogs, sport dogs, protection, competitive obedience, pet obedience and pet behavior problem solving. About Youtuber At Nora's Dog Training we will prepare you and your dog for a lifetime of happiness and understanding. About Youtuber Phoenix Dog Training, Arizona Dog Training, Phoenix dog trainer, Scottsdale dog training, and Scottsdale dog trainers. Most of the videos here on our channel are of new students in there first or second dog training lesson. Nothing too fancy, just happy dogs with off-leash reliability. About Youtuber Canine fitness training, and agility training. About Youtuber Be Heeled Dog Training specializes in dog training for the entire family. We implement lifestyle training, in which daily protocols are put in place during everyday life, helping owners to establish leadership with their dogs. About Youtuber Guiding owners on a path to peace with their dogs through humane, balanced training! Empowering owners with tools to train their dogs. About Youtuber Steve Courtney is the founder of K9 Pro, he is a Nationally Accredited Dog Trainer, Behaviourist and Law Enforcement Dog Trainer. Steve has been working, training and breeding dogs for most of his life. This Blog is more about you than it is us, you see we really want to help you make the relationship you have with your dog, just that little bit better! About Youtuber The best industry tips for dog trainers and dog training businesses. 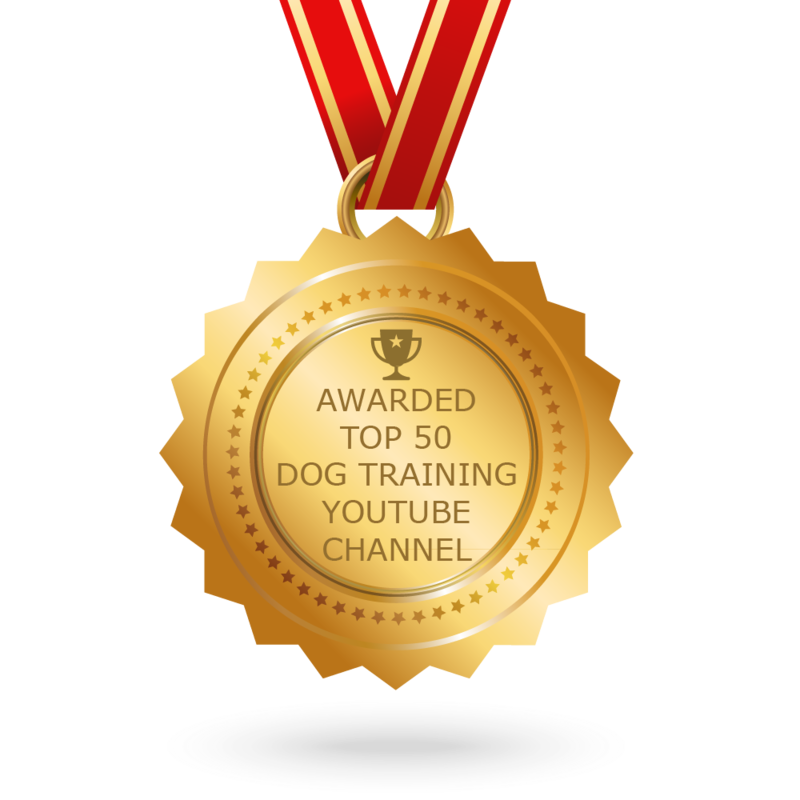 CONGRATULATIONS to every youtuber that has made this Top Dog Training Youtube Channels list! This is the most comprehensive list of best Dog Training Youtube Channels on the internet and I’m honoured to have you as part of this! I personally give you a high-five and want to thank you for your contribution to this world.